Paris, 1959. William Burroughs was staying in a rundown hotel at 9 rue Git-le-Coeur, on the Left Bank. His artist friend Brion Gysin had recently moved into Allen Ginsberg’s former room at the hotel. 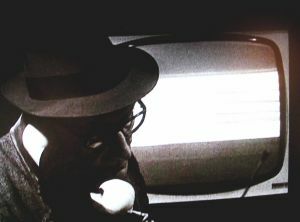 By year’s end, Burroughs would assemble and publish the final version of Naked Lunch, the landmark novel which turned its author into an icon of Beat literature. "Minutes to Go," a one-night exhibition and screening, celebrates the fiftieth anniversary of the publication of Naked Lunch by exploring the surprisingly wide range of artistic experiments undertaken by Burroughs and Gysin during their Paris stay. Rare books and other items from the Danowski Collection at Emory University’s Manuscripts, Archives, and Rare Books Library will be on view. 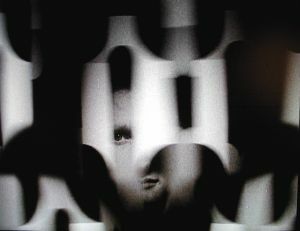 Also featured are the short films The Cut-Ups and Towers Open Fire, two collaborations between Burroughs, Gysin, and filmmaker Antony Balch which encapsulate on film the cut-up technique and its powerful, hallucinatory effects. Please note: some of the films and works in this event utilize flicker effects and stroboscopic light. Persons susceptible to flicker-induced seizure should use caution. MINUTES TO GO is a Film Love event, programmed and hosted by Andy Ditzler for Frequent Small Meals. Film Love exists to provide access to great but rarely-screened films, and to promote awareness of the rich history of experimental and avant-garde film. Film Love was voted Best Film Series in Atlanta by the critics of Creative Loafing in 2006.